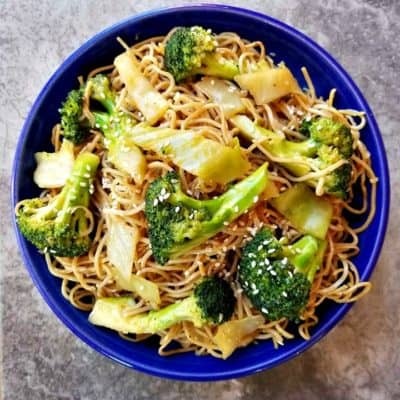 This Simple Chow Mein Recipe can be ready in less than 20 minutes, that is why it’ s so simple to make. 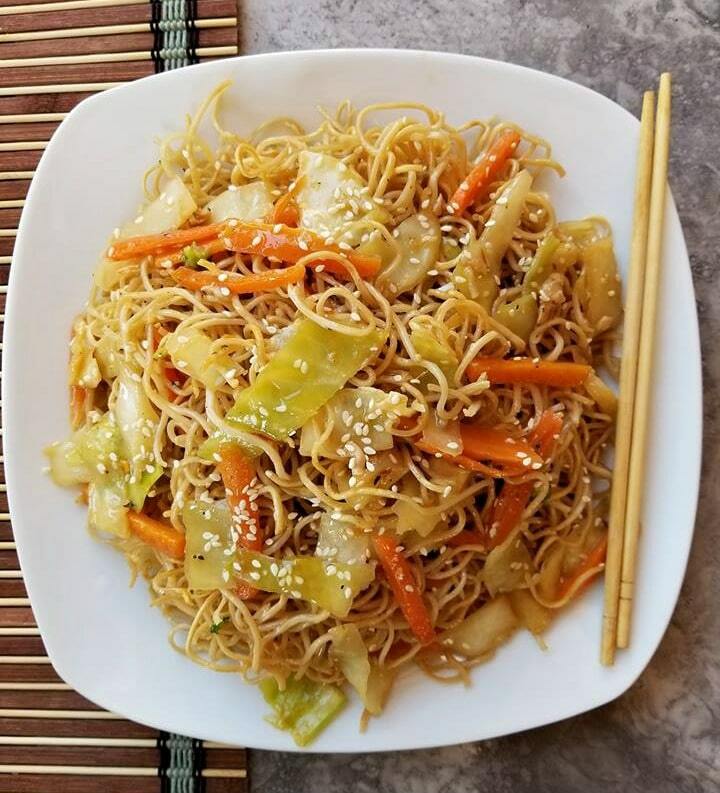 Once you learn to make chow mein at home, you will be so pleased with yourself. Just image it’s a busy weeknight or weekend. Your exhausted and the last thing you want to do is slave in the kitchen all night to prepare a meal. 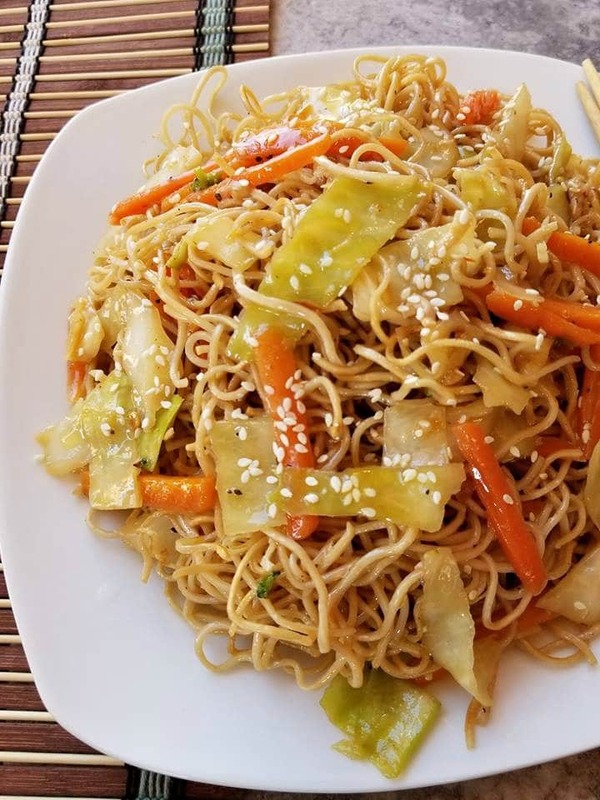 Having the skills to make this basic chow mein will become invaluable to you! 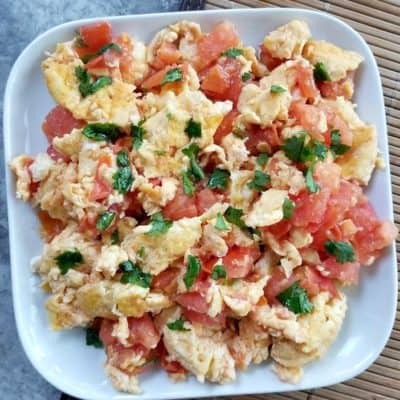 Once you learn the basics, you then can add other ingredients to it if you want. Such as shrimp, chicken, beef etc. However sometimes this basic cabbage, carrot chow mein is enough! 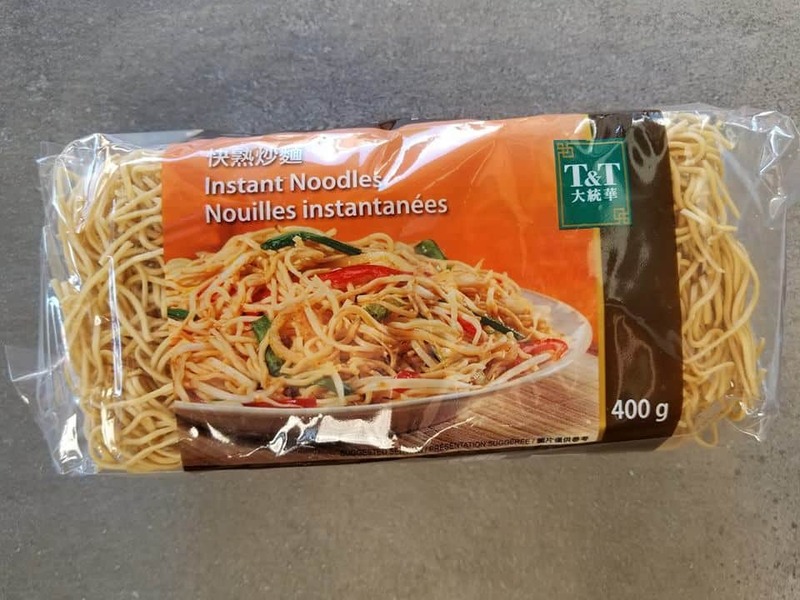 Now if you don’t know already, I love CHOW MEIN! 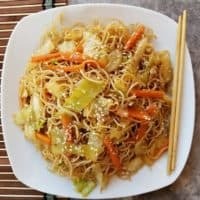 And i’m confident that anyone can make these Chow Mein noodles at home, it just takes the right technique and ingredients. 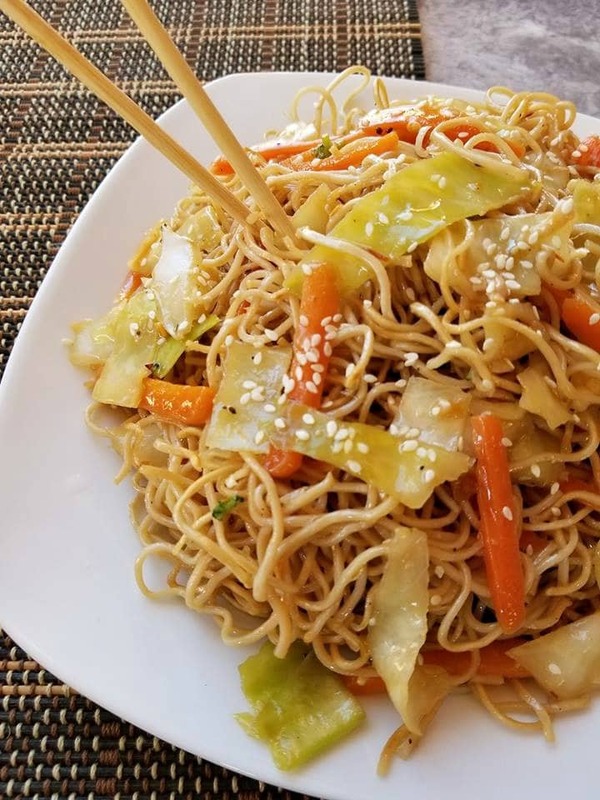 I am the type of lady that has to try every Chow Mein dish at any new chinese restaurant. I do this to compare really, just kidding. Well kinda, I mean some restaurants do it right and others so wrong. Right? 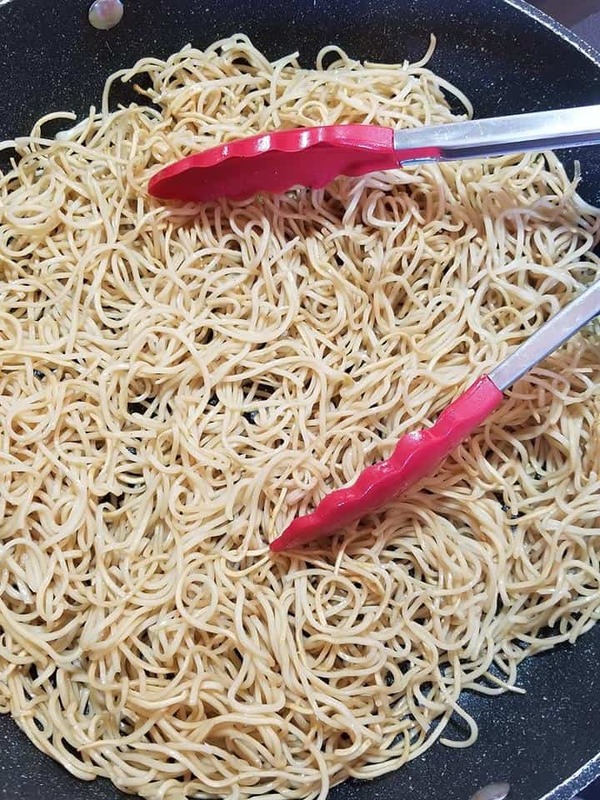 My recipe is fool proof, follow it to a tea and you will be in Chow Mein Heaven! So skip the takeout tonight and learn to make this iconic dish yourself. Impress yourself, I know you can do it! 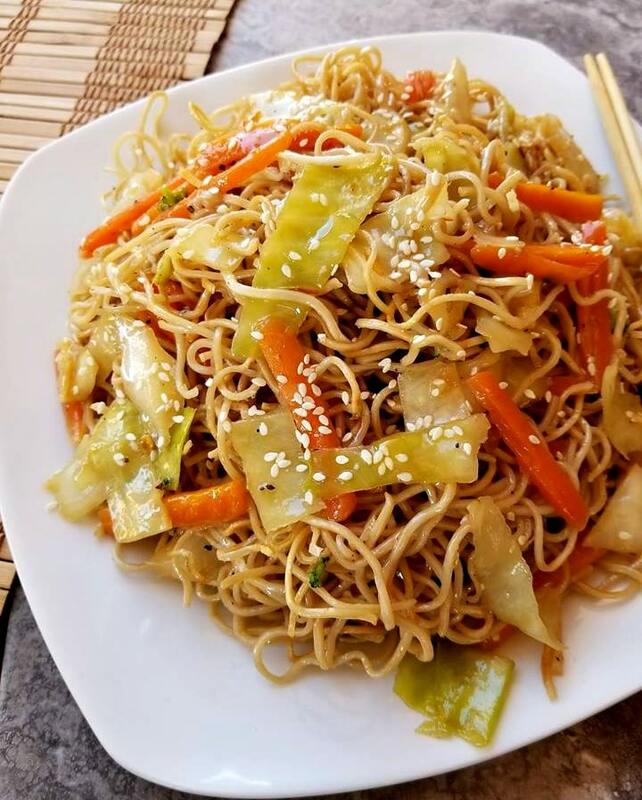 I can see you already, curled up on the couch with this BIG old plate of fresh homemade Chow Mein noodles to yourself! Go ahead you deserve it! 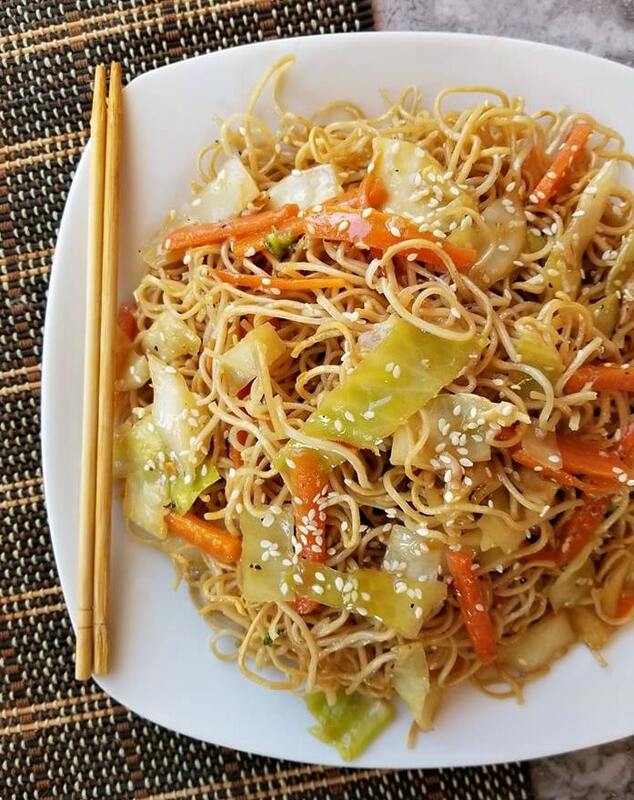 The hardest part about making homemade chow mein is “chopping those vegetables”. Once you have that part done, the rest of the recipe can then be pulled together in 15 minutes flat. 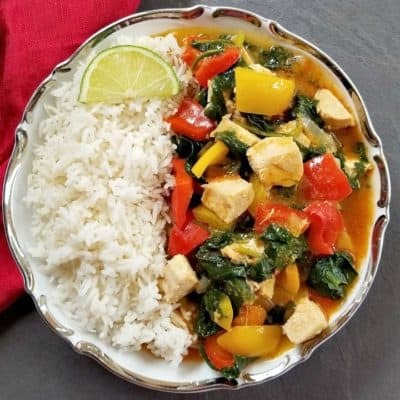 The cabbage and carrots are tossed together in the most delicious asian inspired sauce. 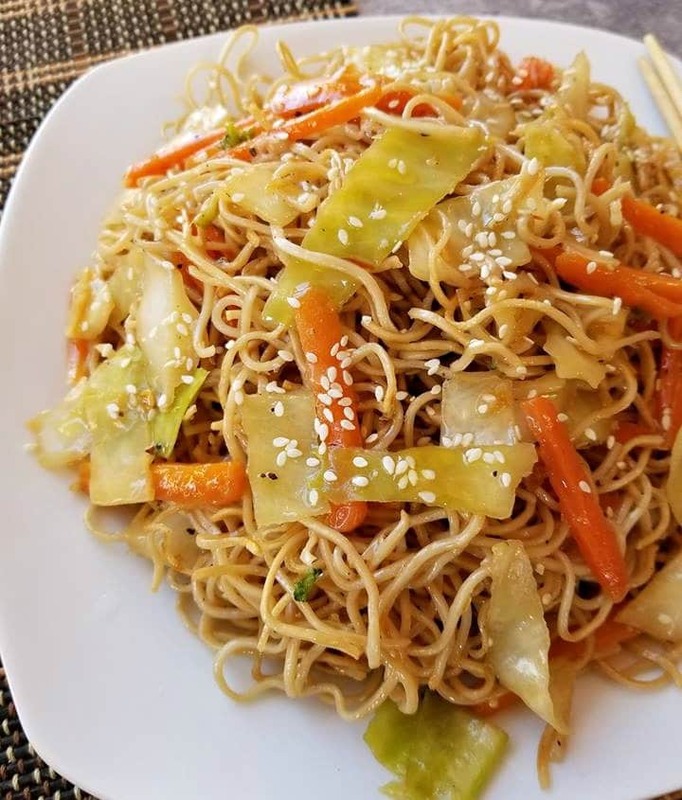 And the chow mein noodles are fried just a bit to give it the perfect amount of cripsyness. 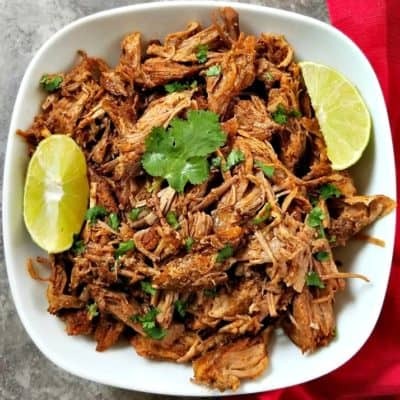 This recipe can also be made with just about any meat such as chinese pork, beef or shrimp. OR make it vegetarian and add some broccoli, cauliflower etc. 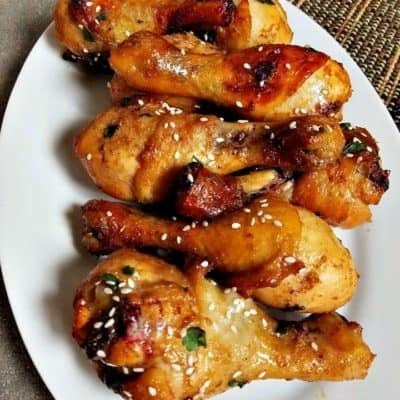 Wanting to try some of my other asian inspired “Skip the takeout” dishes? 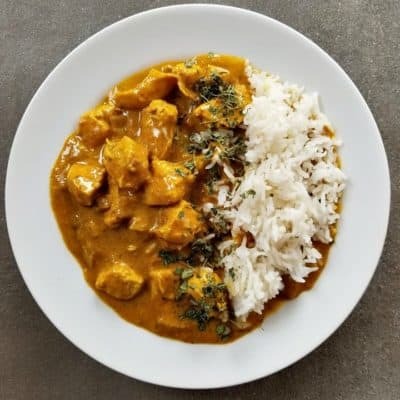 I am so thrilled you are reading one of my recipes, if you made this recipe i’d love to hear about it! Thank you very much for reading and until next time see ya in the kitchen. 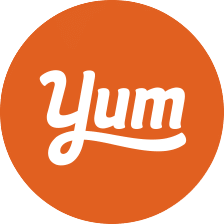 Don’t want to miss a recipe? Sign up for our NEWSLETTER delivered right to your inbox every Month! 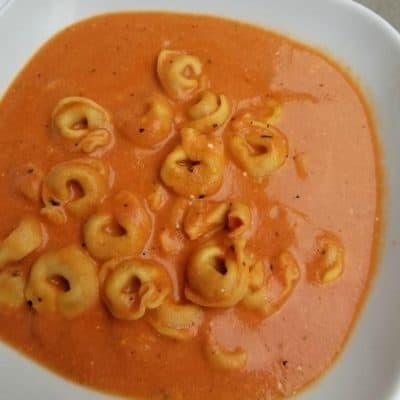 The only recipe you will ever need! Add it to the pan along with the water and sauce, simmer on medium heat for roughly 5 minutes, tossing often until the vegetables are crispy yet tender.